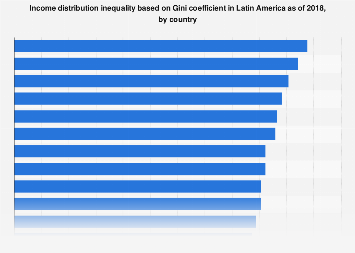 The level of financial inequality around the world is staggering. 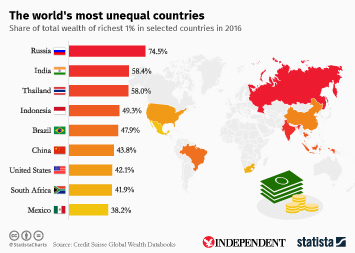 According to a new Credit Suisse report, 45.9 percent of global household wealth is in the hands of just 0.7 percent of the world's population. Those 36 million individuals control a mind-boggling $128.7 trillion, as can be seen from the following the pyramid. 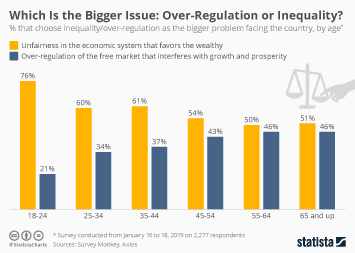 Below that, 391 people own $111.4 trillion, 39.7 percent of global wealth, despite accounting for just 7.9 percent of the adult population. 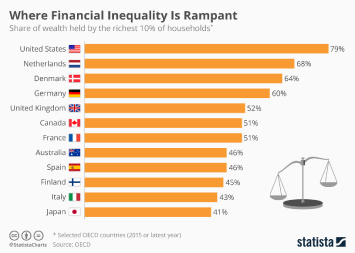 The base of the pyramid is the most poignant and it shows how 3.47 billion people (70 percent of the population) share a combined wealth of $7.6 trillion which is just 2.6 percent of total wealth. 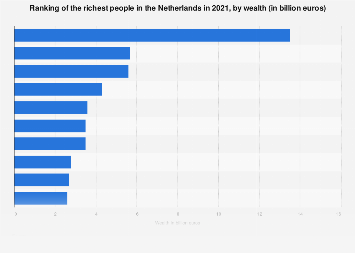 This chart provides an overview of global wealth distribution (U.S. dollars). 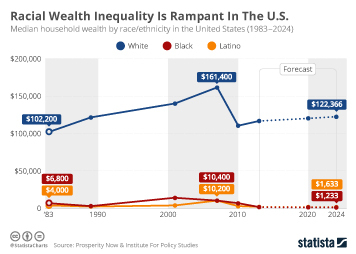 Racial Wealth Inequality Is Rampant In The U.S.